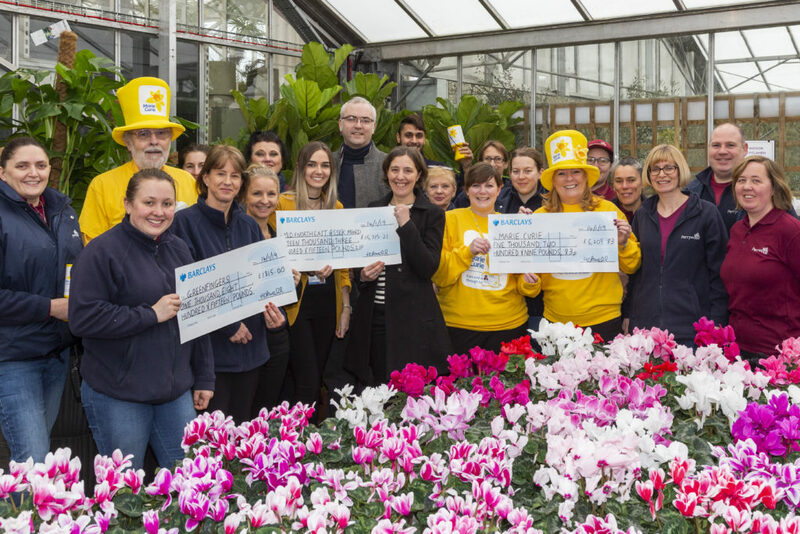 Perrywood Garden Centre and Nursery chose to support Mid and North East Essex Mind for another year in 2018 as their Charity of the Year, alongside Marie Curie. In 2018, they raised an incredible £15,315 making their grand total over two years of support to £22,364.52! Jenny MacPherson, Community Partnerships Fundraiser at Mid and North East Essex Mind, says “It has been wonderful to work with everyone at Perrywood over these past two years and we are so grateful for their generous support. The donations raised will help so many people in the local area who are struggling with their mental health – we really couldn’t do it without support such as this. Thank you to everyone involved”. In May, seven members of the Perrywood team – Holly, Sally, Kim, Selina, Catherine, Tanya and Arif – took on the ultimate challenge by completing a tandem parachute jump from 13,000 feet. Between them, they raised an incredible £4,200 and with the match-fund from Perrywood, a total of £8,400 was raised. In June and July, Connor and Ryan took part in two cycle rides, Dragon Ride L’Etape Wales (223 km) and the Prudential Ride London-Surrey (100 miles). Together with the match-fund from Perrywood, the team of two raised over £1,200 for the charity. 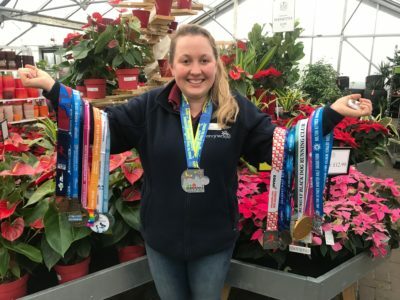 Zoe, from the Houseplants team ran an impressive eighteen half marathons in 2018! As a result, together with the match-fund from Perrywood, Zoe raised £2,391 for the charity. If you would like to support Mid and North East Essex Mind as your chosen Charity of the Year in 2019, please click here or call the fundraising team on 01206 764600.